Three Rivers Guide Service specializes in drift trips on Maine’s premiere smallmouth bass rivers. The Kennebec River’s free flowing section between Waterville and Sidney is my home water. It’s a productive and beautiful reach of the Kennebec. 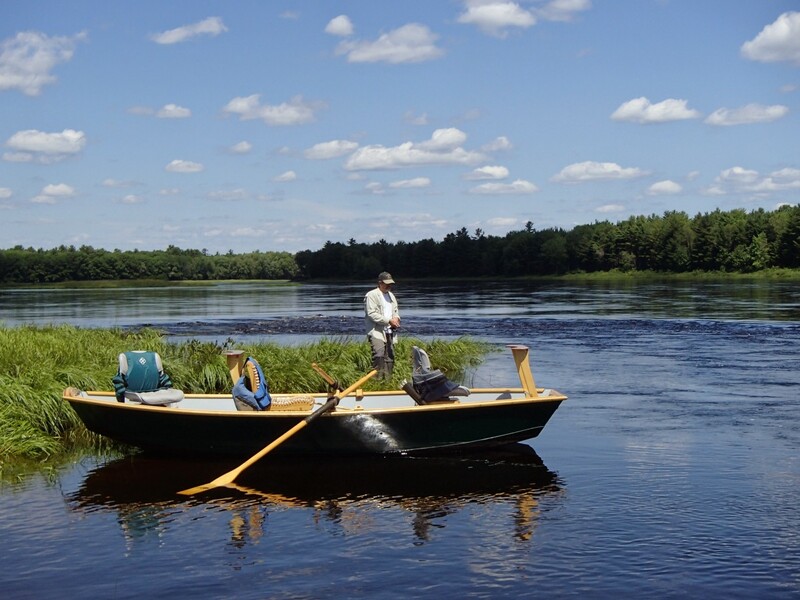 In addition to several other sections of the Kennebec, I do drift trips on several productive reaches of the Androscoggin and Penobscot Rivers. I built this boat specifically for fishing Maine’s smallmouth bass rivers. Two fly fishers or spin fishers can cast while seated or standing from this comfortable and stable drift boat. A day or two before your drift trip I’ll give you a call to discuss the trip details including a designated meeting place. On a typical full day guided drift trip, you will find yourself on the river and ready to fish by 8:30. Most days, depending on the clients’ desires, we will be on the water for eight to nine hours. When conditions allow for it, many clients welcome the opportunity to wade fish an island point bar or one of the many gravel drop offs. And, rest assured, we always find time for a relaxing lunch, an opportunity to stretch our legs and just watch the river flow from a comfortable chair on the banks of the river. Three Rivers Guide Service knows this is your trip and I’ll always strive to tailor each drift trip to the clients’ interests and desires. The frequently asked questions page provides answers to a variety of common questions. Give me a call at 207-441-0678 to arrange your drift trip casting to one of Maine’s most prolific game fish: the feisty smallmouth bass; or email me today.